Micah Royer began his career as a corporate attorney after graduating from the University of Texas School of Law. However, Micah soon found his passion in representing clients in the family law context. 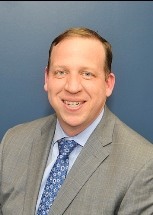 Micah has represented many clients in family law matters, including divorces, child custody disputes, grandparent cases, modifications, appeals, and enforcements. Micah was recognized as a SuperLawyer Rising Star in 2010 and 2012, a Thomson Reuters service, as published in Texas Monthly magazine. Micah brings his dedication, enthusiasm, creativity, and hard work to each client that he represents, whether that be guiding the client through the settlement process or vigorously representing the client at trial.